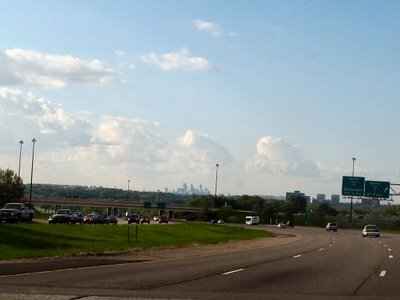 Way off in the distance, probably 20 miles as the crow flies, is the Minneapolis skyline. I'm on Highway 77 [Cedar] just before it crosses Highway 13. 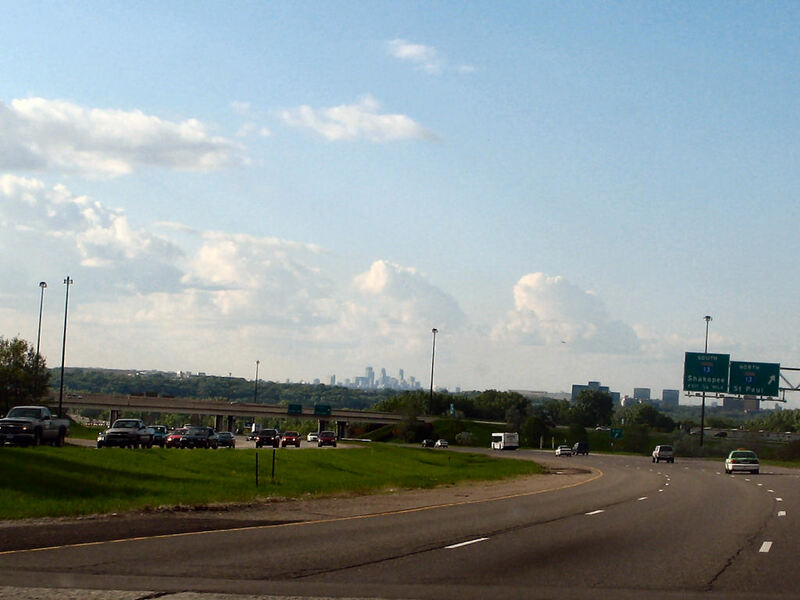 One thing I really like about the Twin Cities is how hilly it is. Both downtowns can be seen from so many areas from great distances.